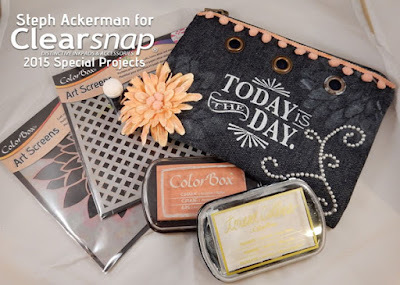 Hi everyone, I've got an upcycled denim purse on the Clearsnap blog today using some amazing Clearsnap inks and art screens. This would make a wonderful gift for the girls in your life. Please stop by the Clearsnap blog for all the details.